This is the same Almighty, All-Knowing, All-Powerful God who created time itself. He has worked out the events of this world down to the very second. Ladies, remember when you must wait on God for answers (a husband, a child, a job, a dream, a direction, a change - whatever....), remember that God is always faithful and at work for your good. He is in control of EVERYTHING. Don't give into Satan's deceiving whispers that God might have forgotten you, or that He doesn't care, or that He isn't interested in listening to your desperate prayers. That is simply not true. If it were, God would not have bothered to give you life to begin with. He will act on our behalf and do what is best for us - but in His timing and for His planned purpose. We must trust His faithfulness, especially when we don't see Him. We must always believe His Word. Ladies, let's renew our strength and be still in our Master's presence. He is with you through every storm, and through every drought. Wait, and put your hope in His promises when He is silent. So, just wait and trust He, who is Most High. All glory and praise belong to our Lord Jesus Christ. Who was, and is, and is to come. Hallelujah! loved this article. Waiting can be hardest but most worth the wait! God is an awesome God in good times and bad! Thanks Victoria! 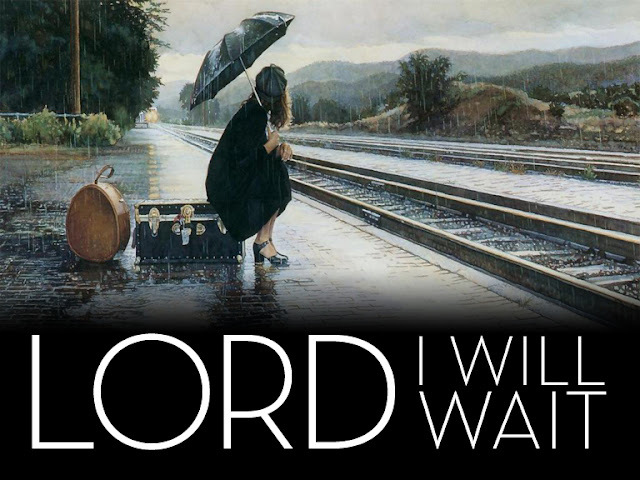 Right on target, waiting is the toughest part...God's timing and mine aren't always the same! !, my patience and trust are growing though and for that I praise Him. A definite WOO HOO!! I loved this so much I saved it to my notes for further reflection. Thanks for this Victoria, it was much needed as I wait for the Lord for many areas of my own dreary life..thanks!